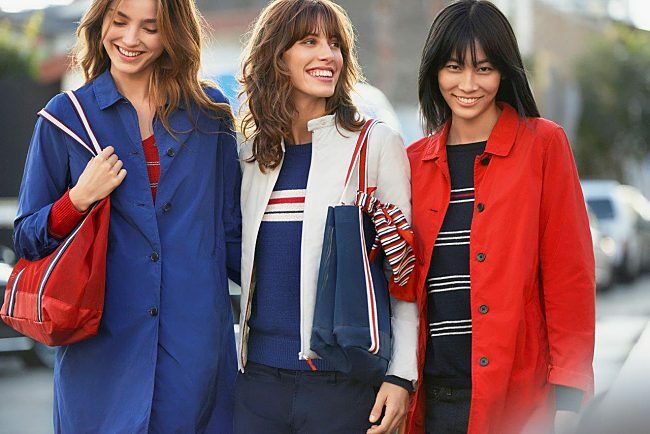 UNIQLO today announces that it will launch the INES DE LA FRESSANGE 2018 Spring/Summer Collection, starting from Friday, March 16. In its ninth season, this full 82-item women’s range will be available at selected UNIQLO stores and UNIQLO.com. The collection is the fruit of a collaboration between Parisian chic icon Ines de la Fressange and UNIQLO Special Project Design Director Naoki Takizawa. The range brings Ines’ belief in designing clothes that all women can wear with comfort to reveal their beauty, and the LifeWear philosophy of providing innovative, high-quality clothing that is universal in design and comfort. Celebrating Ines’ recollections of boating scenes and vibrant architecture during holidays in port towns around Europe, the range builds on her desire to offer wardrobe essentials that are also fashionable, newly including pajamas. For more info, visit www.uniqlo.com.